When Ankit Harpaldas came to Box 8 to discuss his vision for a new culinary concept, he described what he believed to be a serious void of fun, modern Indian restaurants on the market. 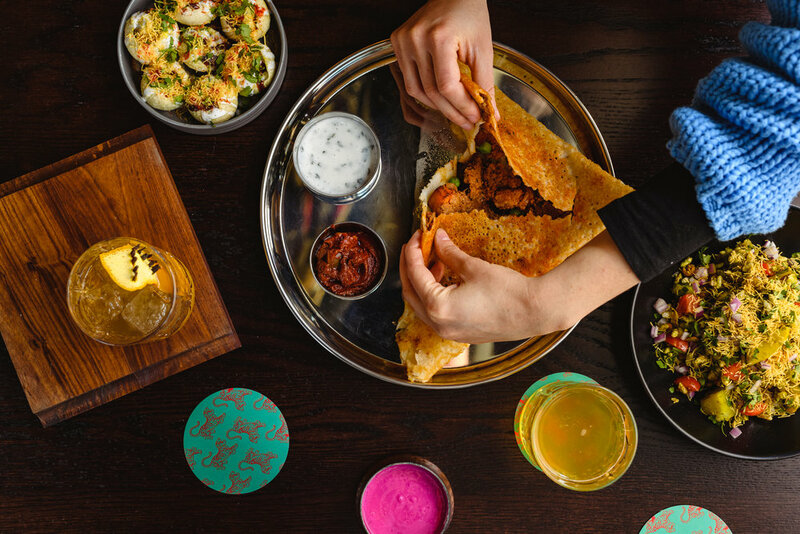 With few daring to stray from the traditional menu items and interior decor, we agreed that Indian food often struggles to resonate with unfamiliar audiences. 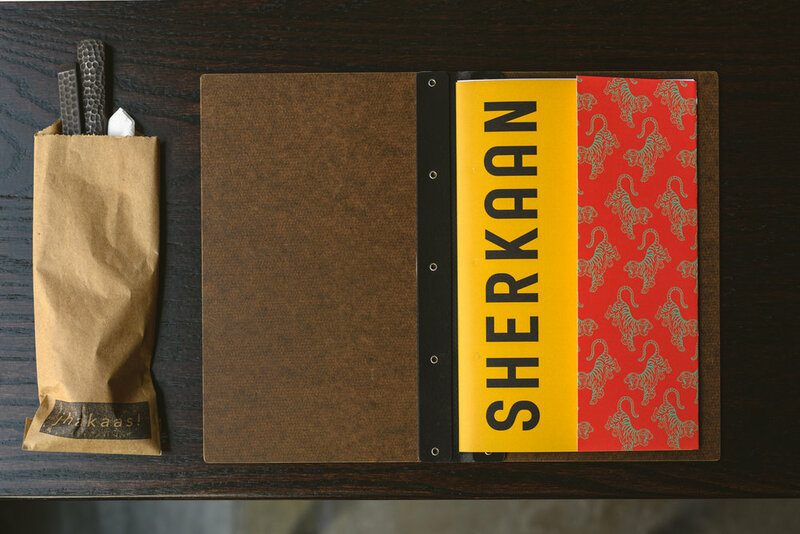 So, in an effort to reintroduce the cuisine in an approachable way, we worked to create a visual identity for Sherkaan: an American-style Indian restaurant serving a contemporary menu of craft cocktails and Central and South Indian street snacks. 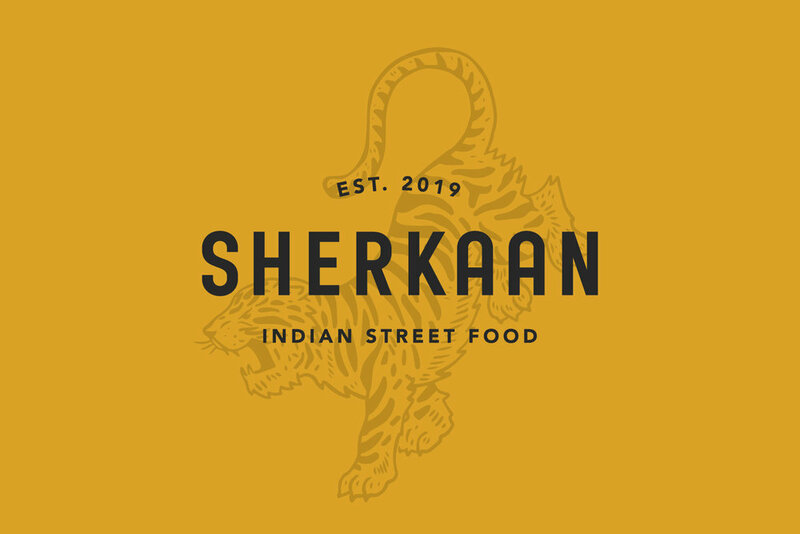 From a branding perspective, everything about the development of Sherkaan was intended to replace consumers' feelings of intimidation around Indian food with a strong sense of inclusivity. 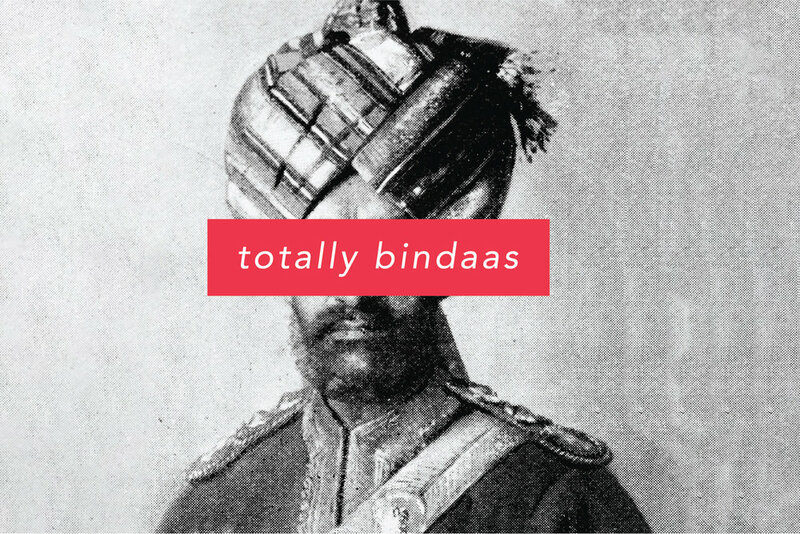 We knew that its namesake, first and foremost, would play an undeniable role in setting the tone—it was to be trendy and cool; universally understood, easily pronounceable, and just a little bit nostalgic. With this set of prerequisites in mind, we turned to Rudyard Kipling’s The Jungle Book for inspiration. 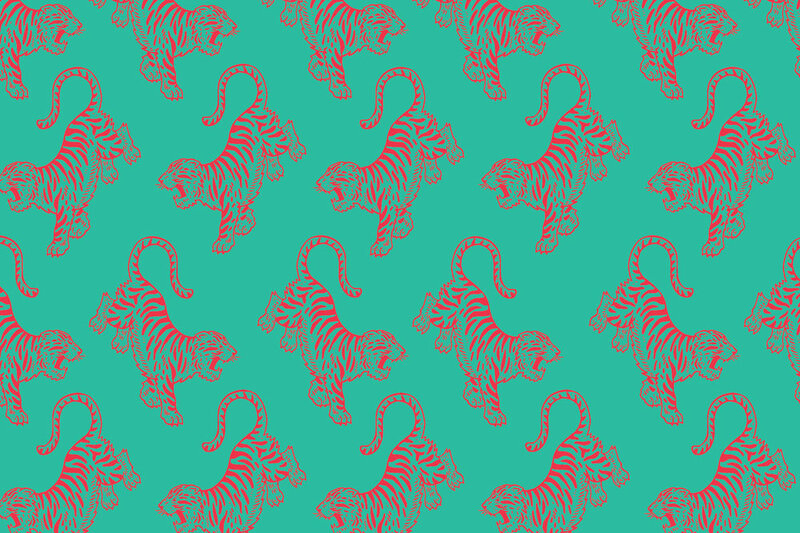 The powerful and authoritative force known as Shere Khan, the Bengal tiger, instantly struck us as an identity that would visually lend itself to a compelling brand system. Hand-drawn and depicted in a variety of bold colorways, our own tiger illustration manages to consistently carry the momentum of the brand throughout a variety of print and digital materials. 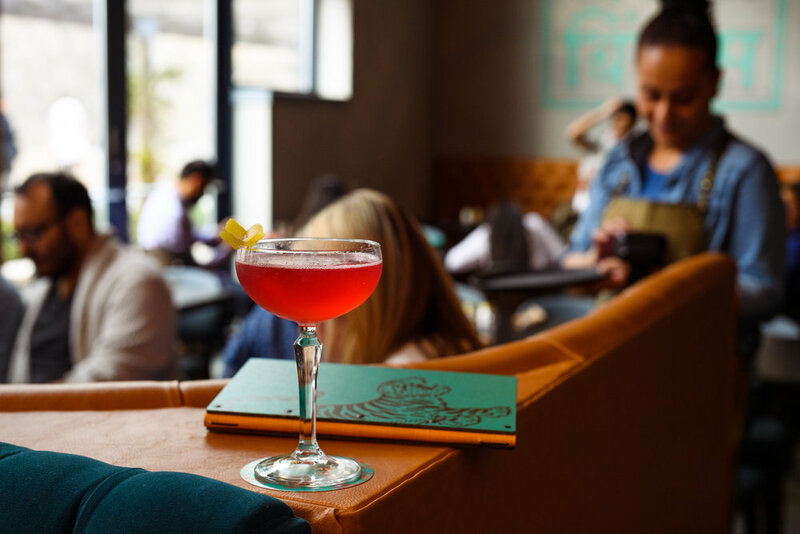 In channeling the vintage spirit and immeasurable vibrancy of Indian street carts, signage, trucks, and rickshaws, Sherkaan offers a real sense of authenticity without losing touch with its youthful demographic. Likewise, incorporating a Hindi vocab section into the menu design itself further aligns with the restaurant’s education-forward ethos—not to mention its sense of humor. Of course, no Box 8 brand is complete without a couple solid sessions of professional photography in which custom collateral items are scattered throughout.